An era has just ended. 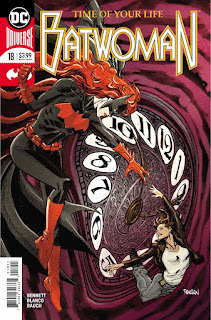 Kate is trying to stop the Clock King but to do so she will need the help of a loved one to make her realize her time is far from over. An era has ended all right and thank GOD for that. Marguerite Bennett brings the conclusion to her run in a rather anticlimactic way but what else did you expect after she opened this book with one of the most boring storyarcs in existence? The anticlimactic part belongs to the Clock King who is even barely a Batman villain, then again, the fact that Kate made fun of the ridiculousness of Ben Percy's Clock King and his frikking clock tatoo makes me appreciate this a little more but doesn't excuse the fact that Kate is just facing an underwhelming villain as her last threat. That being said, there's a bit more of humour compared to previous issues which is good and the issue becomes better when it focuses on relationships (as forced and ill-fated the relationship between Kate and Renee can be) instead of dwelling in the past of that dull island. Fernando Blanco's art is amazing and easily the best part of the issue thanks to his wonderful storytelling and beautiful style. 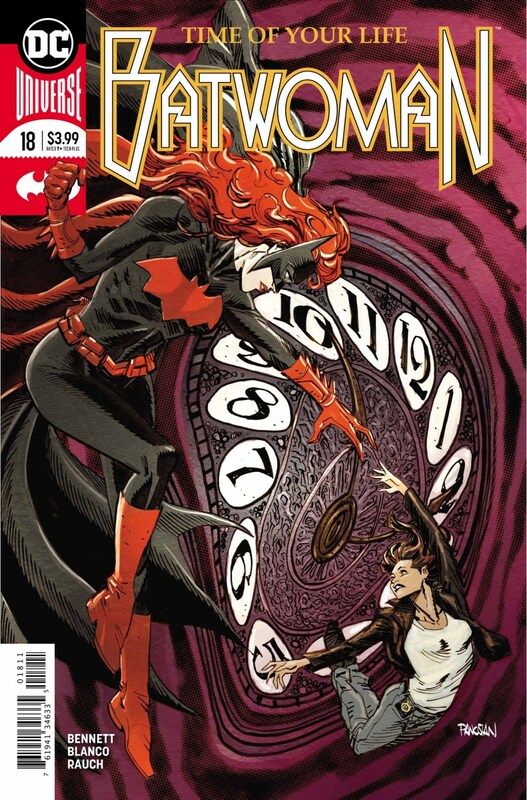 This book should have been much better as a whole but thankfully, the Batwoman movie is coming so I suppose they will give Kate another chance in the future, hopefully with another writer. Do you want to read about the newest comics at the earliest hour possible on wednesday? I obsess over it so you don't have to. I will bring my thoughts early on the morning always so you can have an idea what to check or not. Plus, there will be analysis, retrospectives and a lot of crazy rambles about franchises and series. If you like what you read join this site so you can get the news automatically. You can also follow me on Twitter, subscribe to the blog and don't forget to comment and share please.